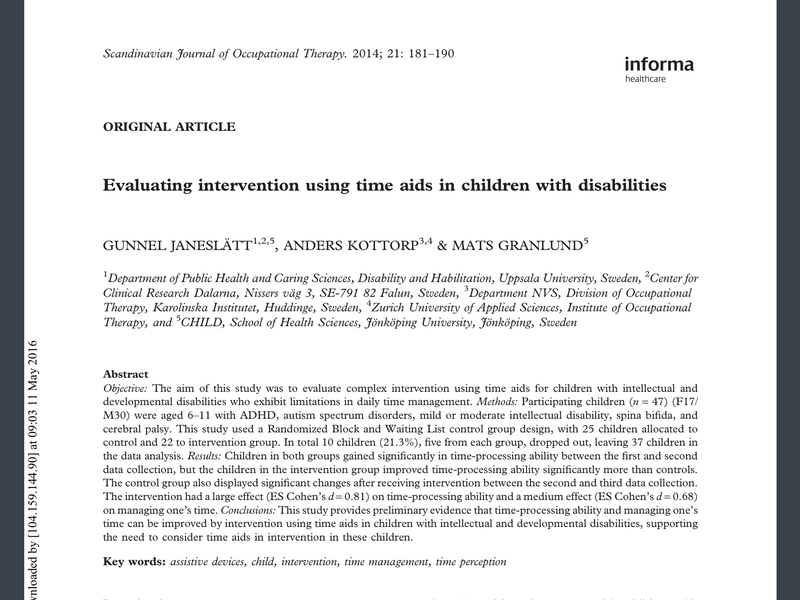 An interesting study demonstrating that it may be possible to improve the time processing abilities of children with various disabilities. Given that time processing abilities have been implicated in certain key cognitive functions (working memory, attentional control, executive functions) this study is intriguing. 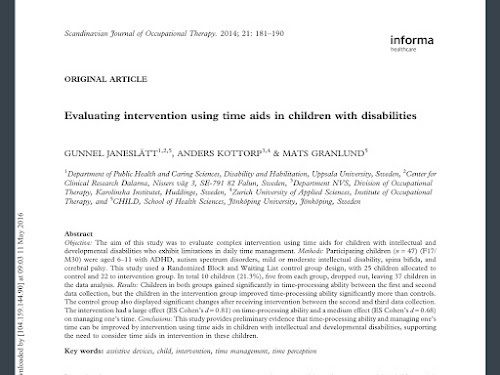 I am particularly interested in learning more about the time processing ability measures and the potential to use them in future intelligence test batteries...as well as where such temporal abilities fit in the CHC model of cognitive abilities.